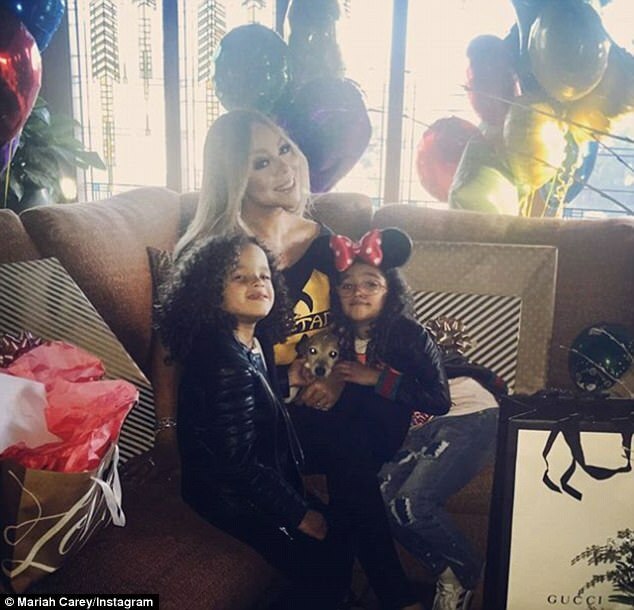 Mariah Carey may be turning a year older, but she’s not letting go of the child within. 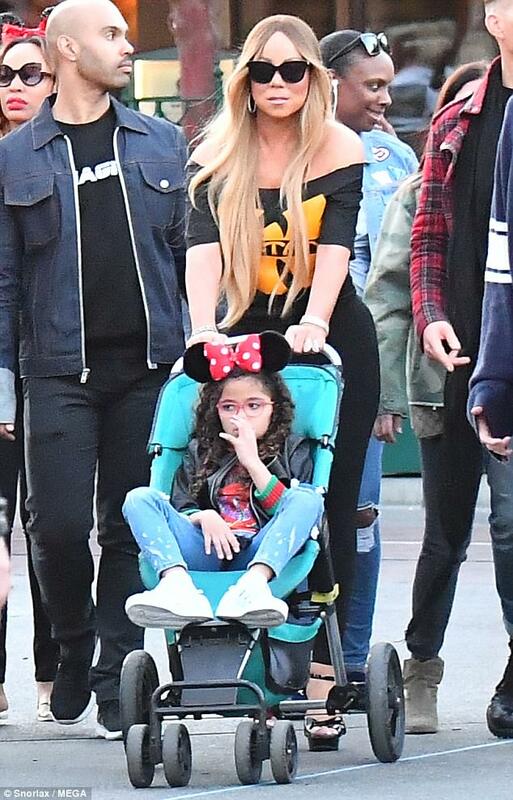 On Tuesday, the living legend chose to celebrate her birthday at Disneyland with her kids Moroccan and Monroe, six. The We Belong Together looked chic for the outing in a simple off-shoulder top and leggings. 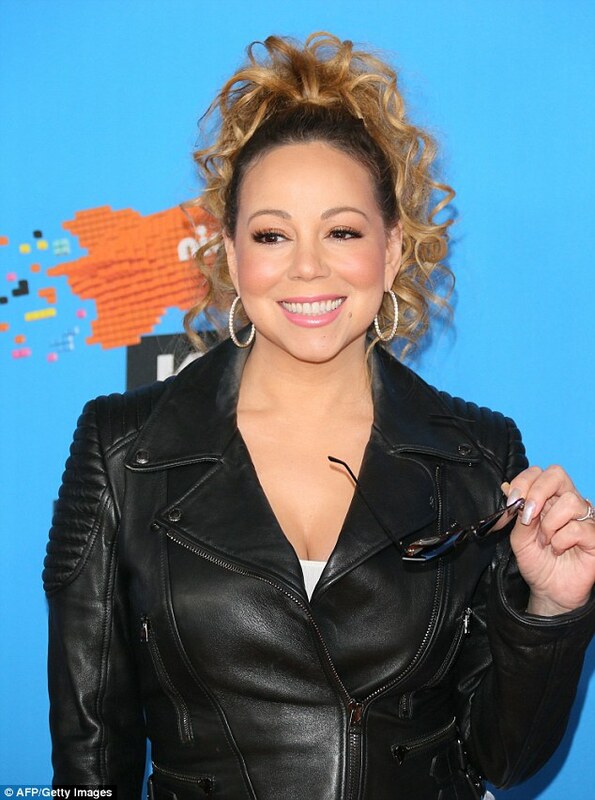 The five time Grammy winner doted on her daughter who wore an adorable leather jacket and Minnie Mouse ears. 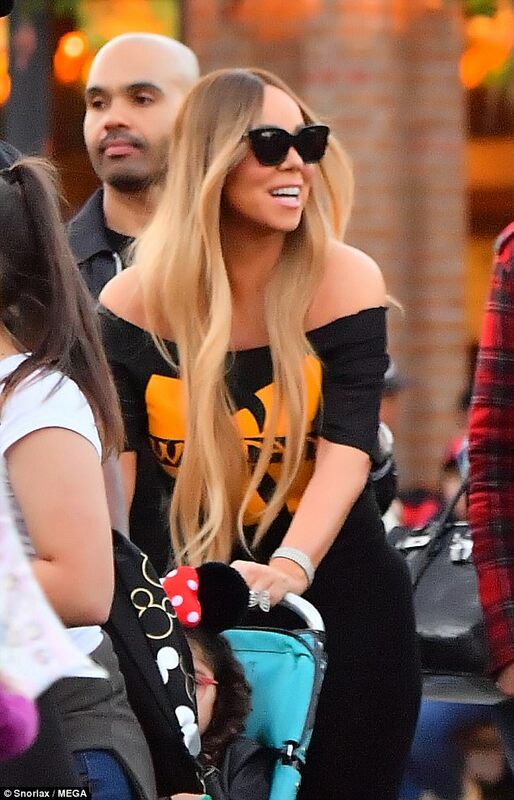 Mariah sported her trademark sky-high heels and dark, oversized shades as she spent her special day at the theme park. The group were seen riding the Guardians of The Galaxy and Soaring Over The World ride. They then joined Mariah’s beau Bryan Tanaka later for lunch. 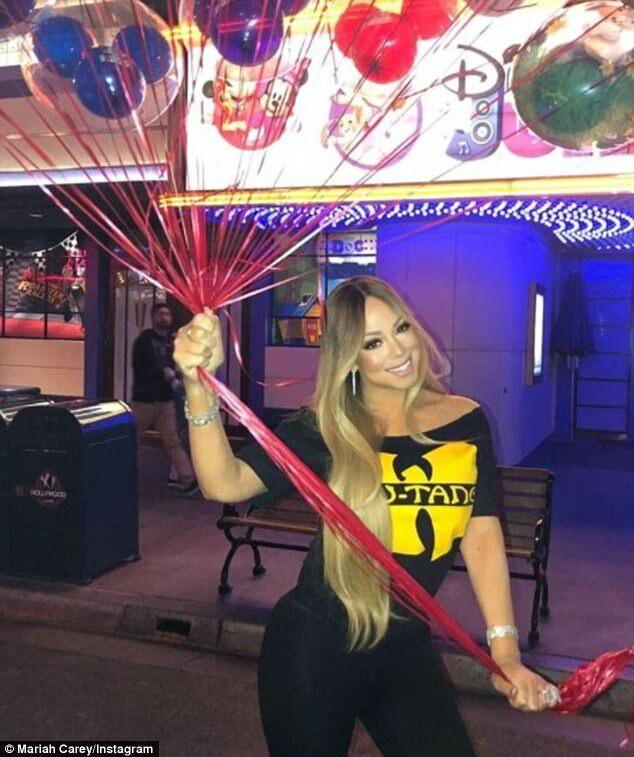 Mariah is known to hate her birthday, and even refers to it as her ‘anniversary’ on Instagram. 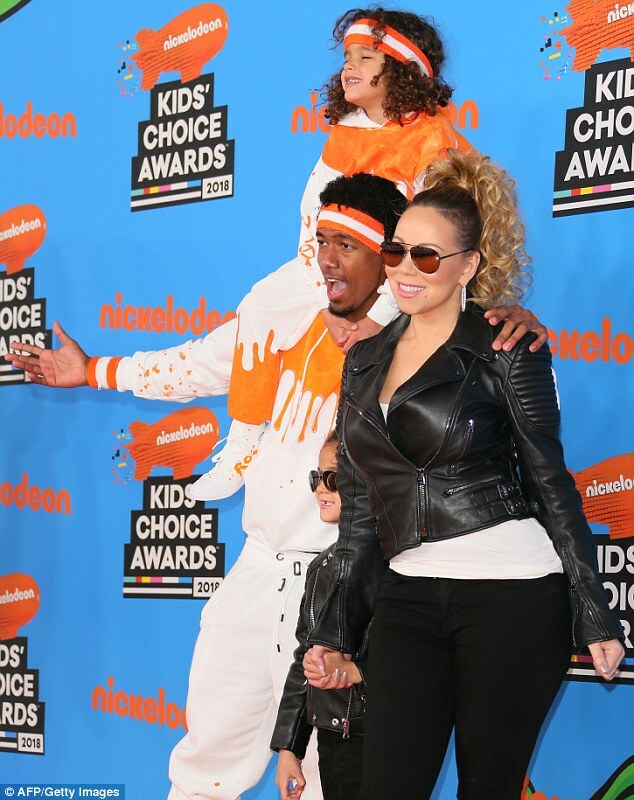 Carey welcomed her twins with ex-husband Nick Cannon via Caesarean section, back in 2011. 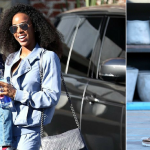 They were married to for six years before they split in 2014. However, the pair have remained on good terms ever since. 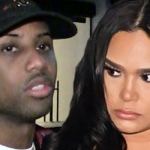 Cannon even revealed there was ‘unconditional love’ between them in January. Speaking to People magazine, Cannon said he and Carey always vowed to respect each other, in order to be the best parents they can be to their children. Mariah is currently dating her 34-year-old backing dancer and choreographer, Bryan Tanaka.